Starfish make interesting and meaningful souvenirs of seacoast vacations. Tourists and beachcombers generally collect starfish for their intriguing shapes and designs. Since starfish are animals, they develop an odor after they die. This odor gradually intensifies until starfish are properly preserved. 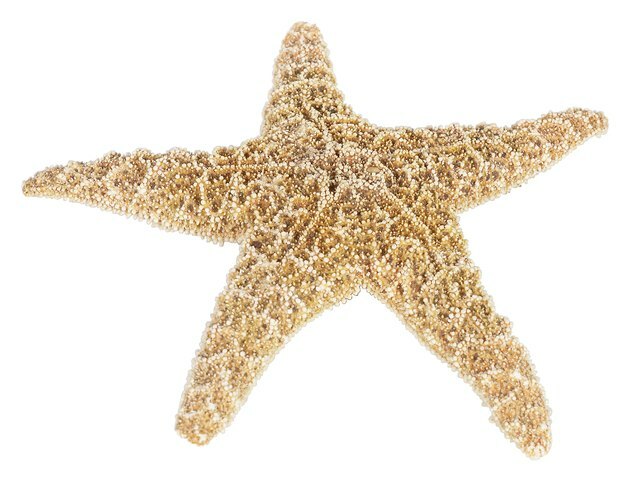 Simply drying starfish in the sun does not eliminate the odor; they must undergo a soaking process before going on display. Promptly get the smell out of a dried starfish using alchohol. Starfish can contribute to a home's seashore decor. Pour 1 qt. of 70-percent isopropyl alcohol into a pail. Submerge the foul-smelling starfish in the undiluted isopropyl alcohol. Soak the starfish in the isopropyl alcohol for 48 hours. Remove the starfish from the isopropyl alcohol. Place the wet starfish on a paper towel in direct sunlight to air-dry. Lay heavy objects on the starfish's legs to keep them from curling up. Do not place anything on the starfish's legs if they are already stiff, as they may break.